A few months ago I started dying my hair again. That whole “I’m going to rock my natural hair colour”-thing didn’t exacly do it for me, so I am back to being an blonde and basking in it! My hair is a frizzy mess if I don’t style it, but a dry mess when I take care of that frizz, so with three blow dries a week, I need a few power troopers to keep my tresses soft and silky. 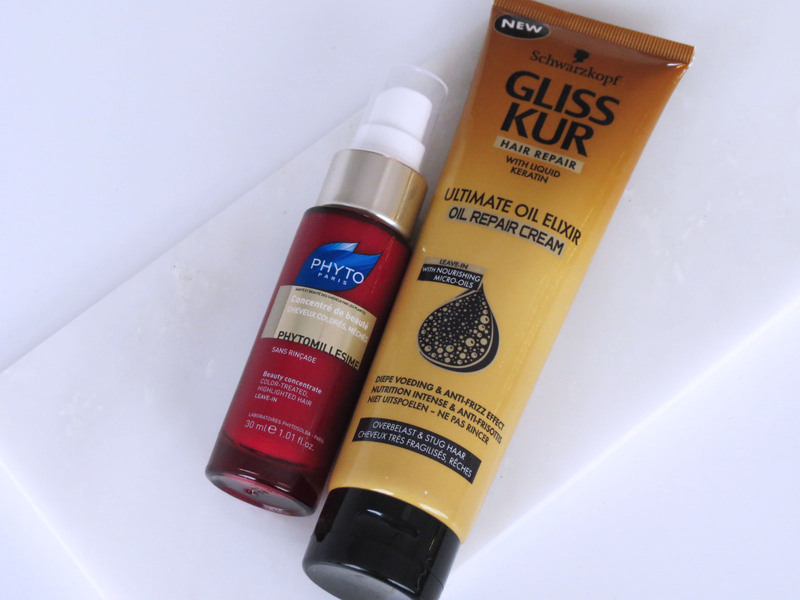 Would now be a good time to share my recent hair care favourites with you? Hair treat no 1 is the Phyto Paris Phytomillesime Beauty Concentrate Leave-In Concentrate, a leave-in treatement formulated specifically for coloured hair. 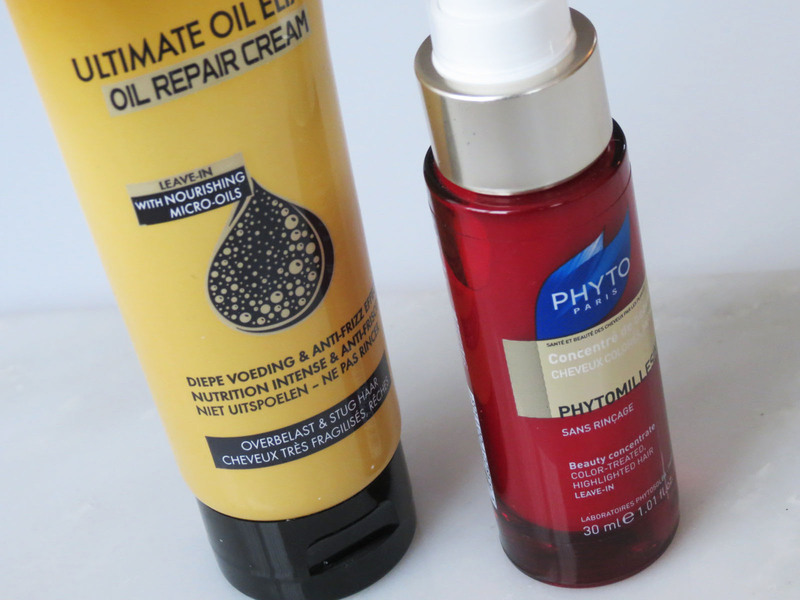 The red bottle does not only represent my love for Phyto haircare (That Phyto 7 Hydrating Cream… Oh my!! ), it also matches the “Phyto Red Love Apple Technology” which is created to protect you tresses from external aggresors, heat and subsequent damages. It is a leave-in treatment (#myfavouritekind), so I scrunch this into my towel-dried hair before blow-drying it. A few spritzes in the palm of my hand, and I apply it onto the lengths of my hair, from about the ears all the way down to the ends. Result, a beautiful shine to my hair, and my manes look glossier and healthier than they have in a long time. Whereas number one is a pre-blow-dry infusion, hair treat number two is a pre-rinse one. 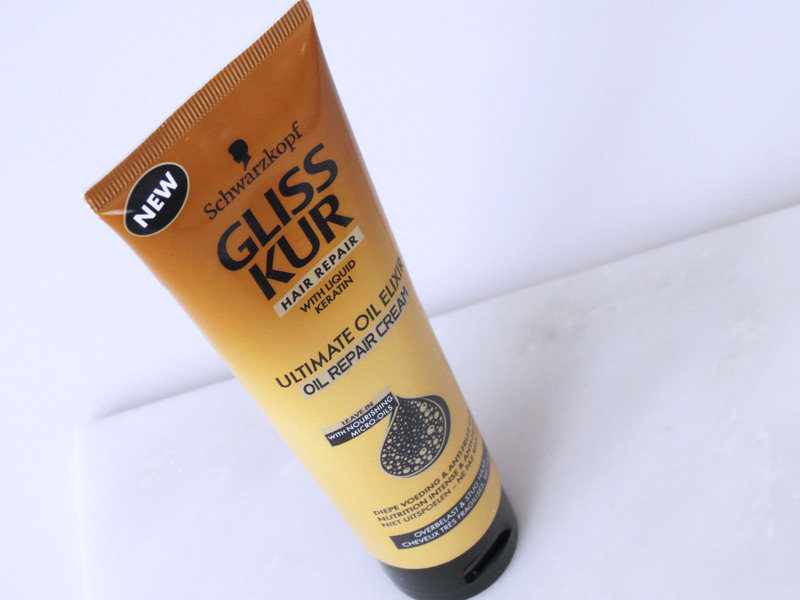 I usually wash my hair in the morning, and the night before I apply the Gliss Kür Ultimate Oil Elixir. A dollop worked into the lenghts of my hair (again from the ear down), a topknot, an overnight face mask, and off to sleep I go. A beautysleep for my skin and a beautysleep for my locks. 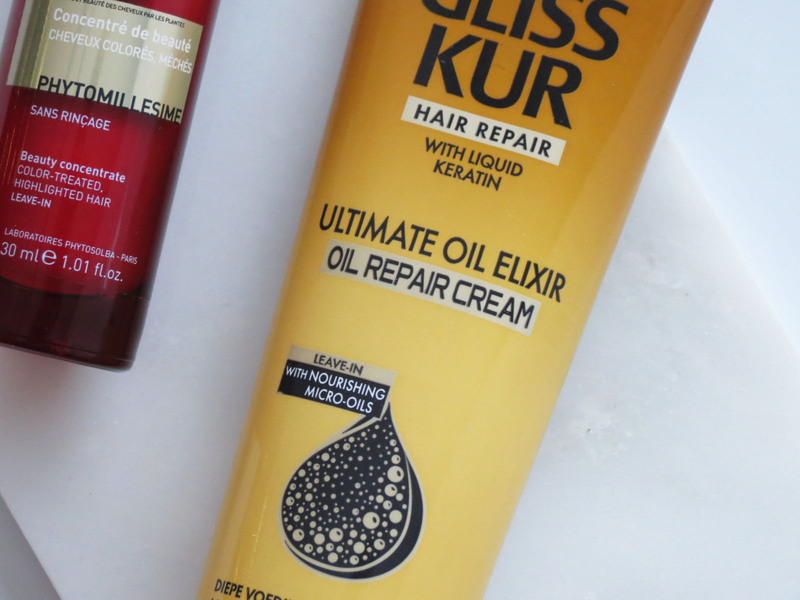 Overnight the Ultimate Oil Elixir’s liquid keratin formula rebuilds the hair from the inside, and I wake up to silky soft and strong yet supple tresses. Even after a wash and a blow-dry, that feeling of strength and softness remains, and my normal, always-present frizz gets nipped in the bud as well, which again adds to that glossy look. Who says you can’t treat yourself?